The Canmore Eagles 2019 Spring Camp will give invited players a chance to showcase their abilities in front of the Eagles Coaching Staff and Scouts. The Canmore Eagles Junior Hockey Club are identifying players that are committed to furthering their hockey careers while playing in the Alberta Junior Hockey League. The Eagles organization provides their players the ideal opportunity to develop through a combination of hockey and education. As an organization we pride ourselves on properly developing and providing our players exposure to post secondary schools in the USA and Canada. 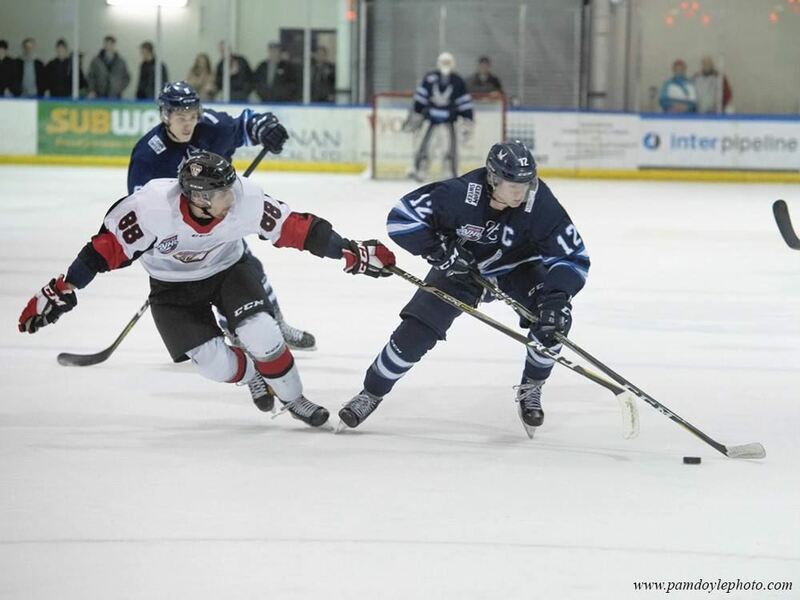 The AJHL season begins in early September and concludes in late April. Each team plays 60 regular season games as well four rounds of playoffs on route to the AJHL Championship and Royal Bank Cup. With the demanding schedule the Eagles are identifying driven, and determined individuals. Our roster is built with players that possess Strong Character, Commitment, and Elite Skill. Of the 23 players on our current roster, 16 of those players were identified during our past spring camps. please register early to secure spot. • Payment for the camp must be paid in full upon registration through the Spring Camp Invite email.